In our last post, we explained about Raspberry Pi. 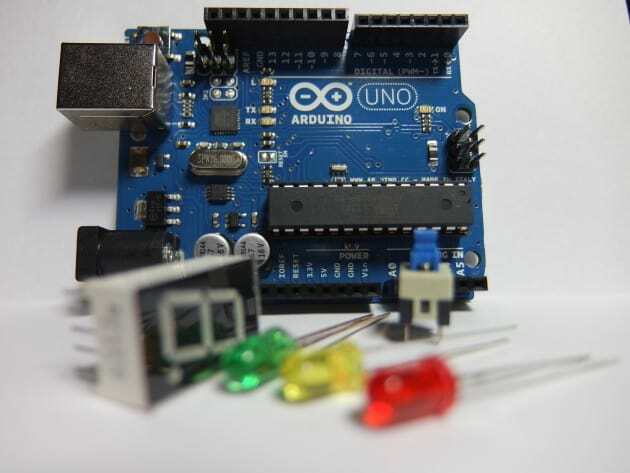 In this post, we will let you know about Arduino. Arduino is an open-source platform which is mostly used for building different types of electronics projects. The main parts of Arduino are, a physical programmable circuit board known as microcontroller and a small piece of software or IDE. This small board can be used to write and upload computer code on to it. The board consists of a microprocessor, input/output pins for communication and controlling objects like LED, buttons. It can be powered by using a USB cable. It can be used to make simple projects like flashing light and for making complex projects which involve sensors. Let’s make it simple. Our home computers are a great piece of technology but, they don’t have any sensors to feel what is going out in the outside world. While, Arduino can be connected to sensors which can help it in feeling physical changes around it. In most simple words, it can be said that Arduino is a computer with eyes and ears which is easy to program and allows you to write, compile and upload codes on it. It was designed for students and developers but, now it is used by almost everyone who is interested in creating innovative and interactive objects. Arduino can easily interact with buttons, motors, LEDs, cameras, speakers and even with smartphones. This means you can even design a project which involves the combination of your smartphone, motor, LED light and Arduino. Motion detector projects are the most popular projects made by using Arduino. Since it is open-source device, it can be used freely. You can buy as much of Arduino boards you want and can solder them to make your project. This is the simplest and widely used board. If you are new to Arduino, this is a perfect board for you. It consists of everything you need to get started. It features 14 digital I/O pins, a USB connection, 6 analog pins, a power jack and a reset button. There are many projects which need to be worn. LilyPad is a wearable board and features large connecting pads and flat back which can easily be sewn into clothing. The best part of this board is that it is even washable. This is the biggest Arduino board which consist of largest number of I/O pins and memory. It delivers maximum power and is suitable for large size projects. It is also comparatively expensive as compared with other boards. Shields are used for adding functionality into the Arduino board. For example, by connecting the Ethernet Shield, you can connect your project with the Internet which can be used for communication and control. You can use shields for making specific project which needs different kind of sensors and microchips. Arduino Boards and shields vary a lot in cost. The cheapest board will cost you around INR 500 and for getting the most expensive board, you will have to shed out around INR 2500. If you are planning to buy an Arduino Kit, Click here to know where you can get one in your area. Bosch GLM 50C Review: Both Professional And Powerful!